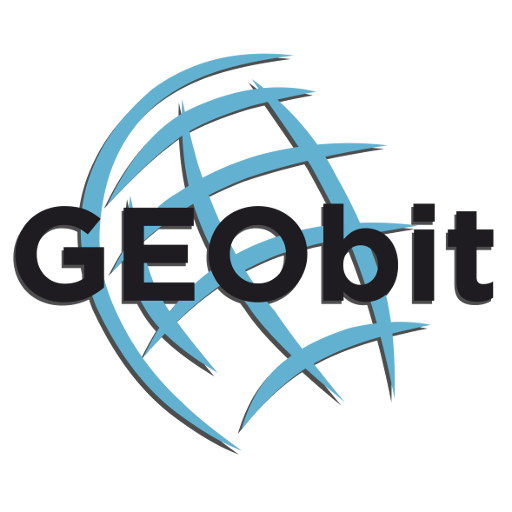 GEObit supplied, (Summer 2018), the University of Grenoble, (Institute de Sciences de la Terre – Florent Gimbert ) with one C100/SRi32L and one S400/SRi32L units. 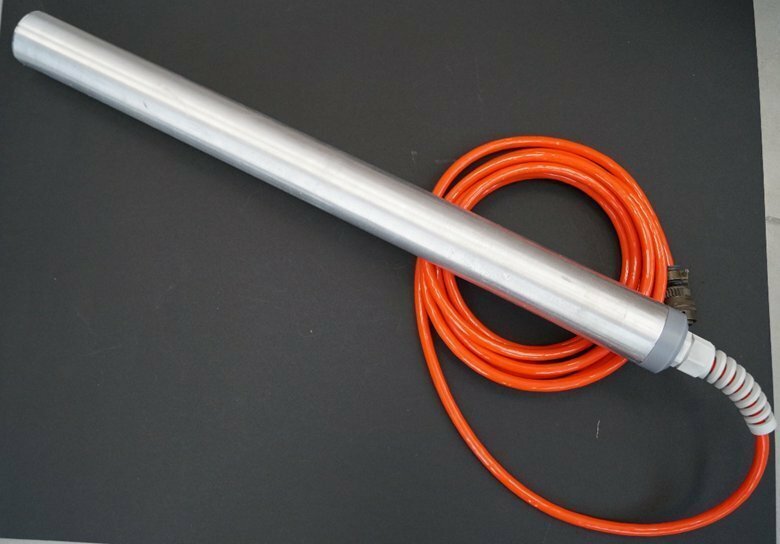 The S400 sensor was accompanied with a 200 meters cable. These units were installed in Alpes from University of Grenoble people. The equipment installation was performed by Ugo Nanni who kindly provided the pictures. 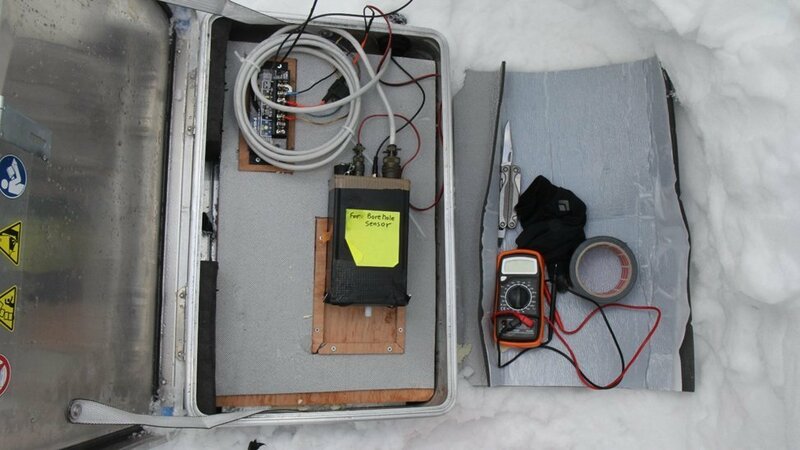 The sensors were placed into the ice, and the battery, the datalogger and the charge controller into a metallic case. 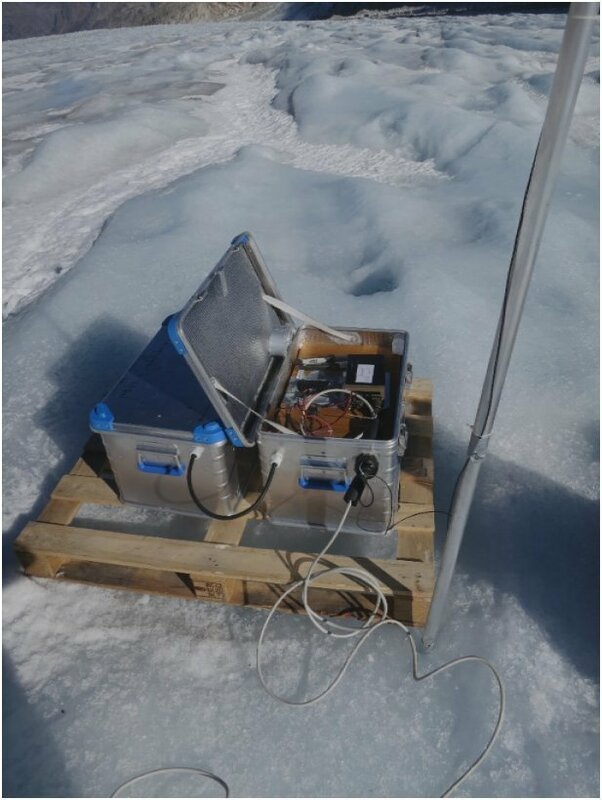 A small solar panel was the power source for the instruments. Due to the low power consumption of the system, a small solar panel sitting next to the metallic case was enough to provide power to the system. Many thanks to Ugo Nanni for providing the pictures of his work. 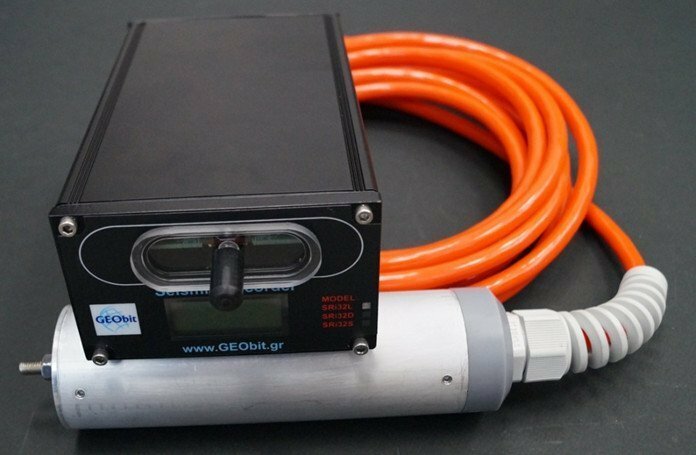 GEObit people are more than happy having instruments in the Alpes’s harsh conditions operating well and providing valuable data to the users.